The scanning process is quick and simple. Within 15-30 minutes, our friendly GuardLab certified technicians use a 3D scanner to capture images of your teeth, creating an exact digital model for your custom made mouth guard. What is the main benefit of a custom made mouth guard? A well-designed custom guard provides the highest level of protection because its design can be individualized for both the athlete and the sport. The precise 3D scanning ensures a snug fit and optimal comfort. This is particularly important for youth athletes because the comfort of the guard increases the likelihood that it will be worn. 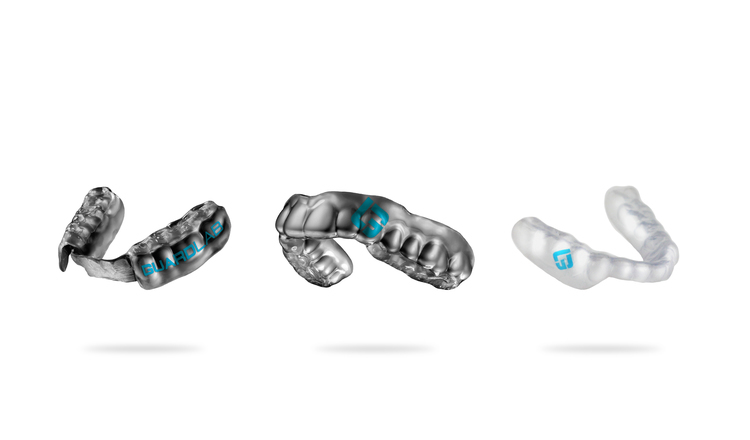 And when the individual guard is create, GuardLab optimizes the position of your jaw to help absorb impact and dissipate pressure to assist in injury prevention. For non-contact sports (soccer, baseball, volleyball, etc.) patients use the Lower Performance Guard. It fits nicely along the bottom teeth for a perfect fit. For contact sports (football, lacrosse, wrestling) the Upper Protection Guard is recommended to keep your teeth protected while you are playing. It fits snugly along the top teeth so it won’t fall out. GuardLab also highly recommends the Night Recovery Guard for all athletes year round. The Recovery Guard allows you to get a better night’s sleep, recover quicker and perform better the next day. For more Frequently Asked Questions about GuardLab, we recommend you click here. To book for 3D scan with us, please call 9344 7081 today and get the ball rolling. (Pun intended).